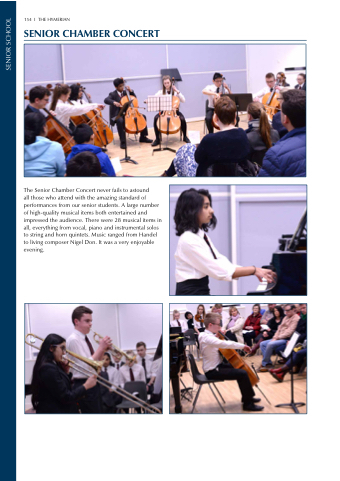 all those who attend with the amazing standard of performances from our senior students. A large number of high-quality musical items both entertained and impressed the audience. There were 28 musical items in all, everything from vocal, piano and instrumental solos to string and horn quintets. Music ranged from Handel to living composer Nigel Don. It was a very enjoyable evening .